An optional video tutorial for you or your guests learn some simple choreography ahead of time, to join in the end of the flash mob! No waiters at your event? No problem! 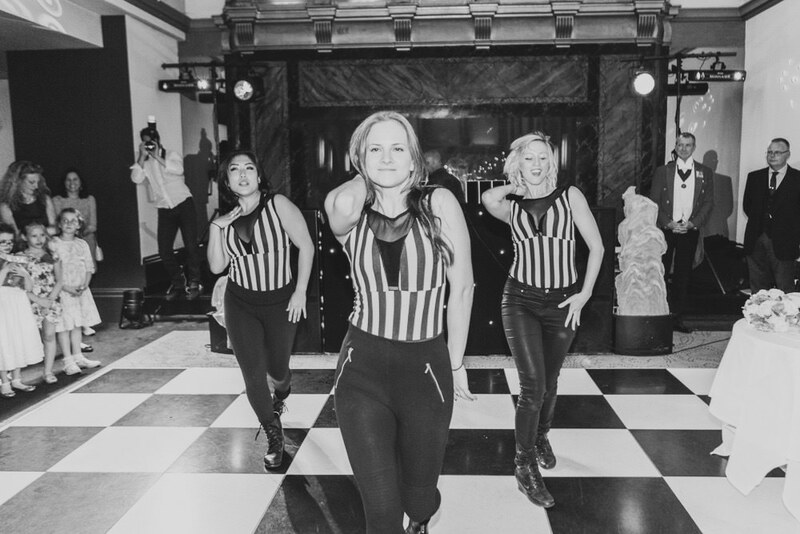 We've played security before, bar staff, toastmasters, wedding planners, venue management or even posed as guests at the event, before we dance. All of our team are trained in acting, so anything you throw at us, we're ready for! 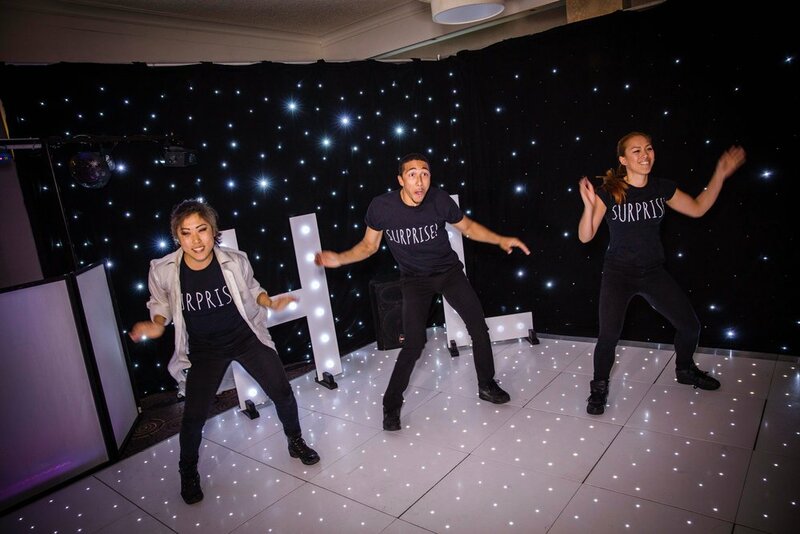 Give us a call on 02078673769 to hear about some of our fantastic surprise ideas. 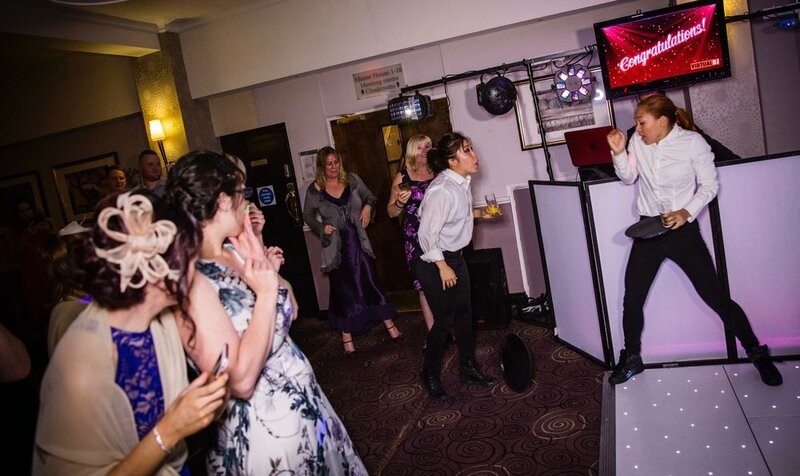 The waiters all join in the surprise routine! The guest's shock turns to relief and amazement when the dancers reveal themselves!